Amanda Michelle Todd (died October 10, 2012) was a 15-year-old Canadian teenager who committed suicide attributed to cyber-bullying through the social networking website Facebook. On 7 September 2012, Todd posted a video on YouTube in which she used a series of flash cards to tell of her experience of being bullied. 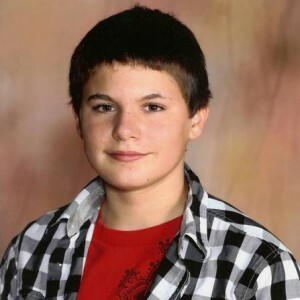 Here is another case of bullying where a young man took his life… His name is Jamey Rodemeyer (March 21, 1997 – September 18, 2011) was an openly bisexual teenager, known for his activism against homophobia and his videos on YouTube to help victims of homophobic bullying. He committed suicide as a result of constant bullying. Just because someone doesn’t agree with someones choices or lifestyles, it doesn’t mean they deserve to be bullied… Rodemeyer encountered bullying throughout middle school because of his bisexuality. Anonymously posted comments on his Formspring account included hate messages such as, “I wouldn’t care if you died. No one would. So just do it 🙂 It would make everyone WAY more happier!”. Despite this, he used his experiences to make videos on YouTube under the username xgothemo99xx to help others who were experiencing similar situations. He also made a video for the “It Gets Better” project, a website dedicated to preventing teen suicide. Harassment by computer is a crime in several U.S. states (see computer crime). It is distinct from stalking in that stalking typically requires two or more contacts, whereas harassment by computer may be a single incident. It is also different from regular harassment, because the offense typically encompasses a range of crimes that would not be considered harassment if conducted in person. Connecticut was the first state to pass a statute making it a criminal offense to harass someone by computer. Michigan, Arizona, and Virginia have also passed laws banning harassment by electronic means. Harassment by computer statutes are typically distinct from cyber bullying laws, in that the former usually relates to a person’s “use a computer or computer network to communicate obscene, vulgar, profane, lewd, lascivious, or indecent language, or make any suggestion or proposal of an obscene nature, or threaten any illegal or immoral act,” while the latter need not involve anything of a sexual nature. 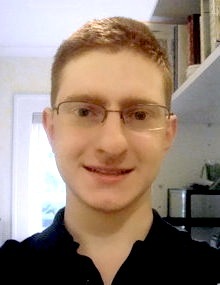 Tyler Clementi (December 19, 1991 – September 22, 2010) was an eighteen-year-old student at Rutgers University in Piscataway, New Jersey, who jumped to his death from the George Washington Bridge on September 22, 2010. On September 19, his roommate, Dharun Ravi, and a fellow hallmate, Molly Wei, used a webcam on Ravi’s computer and a computer in Wei’s dorm room to view, without Clementi’s knowledge, Clementi kissing another man.On September 21, the day prior to the suicide, Ravi urged friends and Twitter followers to watch via his webcam a second tryst between Clementi and his friend, though the viewing never occurred. Ravi and Wei were indicted for their roles in the webcam incidents, though they were not charged with a role in the suicide itself. Clementi’s death brought national and international attention to the issue of cyberbullying and the struggles facing LGBT youth. The information I posted below I found on Wikipedia.. The safety of schools is increasingly becoming a focus of state legislative action. There was an increase in cyberbullying enacted legislation between 2006-2010. In 2012, a group of teens in New Haven, Connecticut developed an app to help fight bullying. Called “Back Off Bully” (BOB), the web app is an anonymous resource for computer, smart phone or iPad. When someone witnesses or is the victim of bullying, they can immediately report the incident. The app asks questions about time, location and how the bullying is happening. As well as providing positive action and empowerment over an incident, the reported information helps by going to a data base where administrators study it. Common threads are spotted so others can intervene and break the bully’s pattern. BOB, the brainchild of fourteen teens in a design class, is being considered as standard operating procedure at schools across the state. There are laws that only address online harassment of children or focus on child predators as well as laws that protect adult cyberstalking victims, or victims of any age. Currently, there are 45 cyberstalking (and related) laws on the books. While some sites specialize in laws that protect victims age 18 and under, Working to Halt Online Abuse is a help resource containing a list of current and pending cyberstalking-related United States federal and state laws. It also lists those states that do not have laws yet and related laws from other countries. The Global Cyber Law Database (GCLD) aims to become the most comprehensive and authoritative source of cyber laws for all countries. Kids report being mean to each other online beginning as young as 2nd grade. According to research, boys initiate mean online activity earlier than girls do. However, by middle school, girls are more likely to engage in cyberbullying than boys do. Whether the bully is male or female, his or her purpose is to intentionally embarrass others, harass, intimidate, or make threats online to one another. This bullying occurs via email, text messaging, posts to blogs, and web sites. The National Crime Prevention Association lists tactics often used by teen cyberbullies. Studies in the psychosocial effects of cyberspace have begun to monitor the impacts cyberbullying may have on the victims, and the consequences it may lead to. Consequences of cyberbullying are multi-faceted, and affect online and offline behavior. Research on adolescents reported that changes in the victims’ behavior as a result of cyberbullying could be positive. Victims “created a cognitive pattern of bullies, which consequently helped them to recognize aggressive people.” However, the Journal of Psychosocial Research on Cyberspace abstract reports critical impacts in almost all of the respondents’, taking the form of lower self-esteem, loneliness, disillusionment, and distrust of people. The more extreme impacts were self-harm. Children have killed each other and committed suicide after having been involved in a cyberbullying incident. The most current research in the field defines cyberbullying as “an aggressive, intentional act or behaviour that is carried out by a group or an individual repeatedly and over time against a victim who cannot easily defend him or herself” (Smith & Slonje, 2007, p. 249). Though the use of sexual remarks and threats are sometimes present in cyberbullying, it is not the same as sexual harassment, typically occurs among peers, and does not necessarily involve sexual predators. I will be adding a personal experience from when I went to school for tomorrows blog… Even though it wasn’t me being bullied, some of my friends were… There was no facebook then..